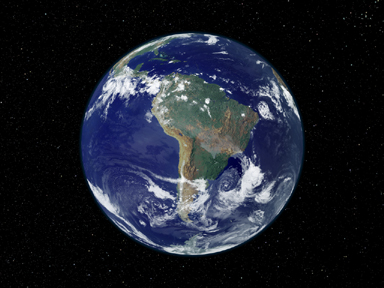 These two images compare South America during the day and night. At night the area of the Amazon is virtually devoid of lights. This is due to a lack of industrialization. Many animals are adapted to complete darkness upon nightfall, except for the light cast by the moon and stars. The introduction of artificial lights of civilization can have a dramatically negative effect on the nocturnal fauna.